The Rochester police officer who fought for five years to have his name removed from a “Laurie” list of potentially dishonest officers has lost his last appeal – this one to the state Supreme Court. John Gantert said his troubles started in 2011 when he mistakenly filled out a form used to gauge dangerousness in a domestic violence case. Gantert was fired, reinstated and argues that he was denied due process in getting his name off the list. 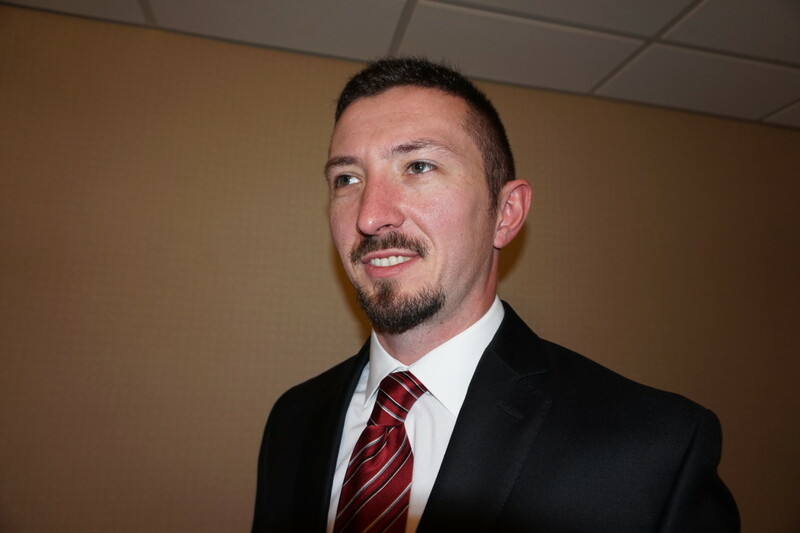 After spending $20,000 on legal fees, Gantert is disappointed. “Basically, I stay on the Laurie list,” Gantert said on Friday. The process has been frustrating, Gantert said. “Everywhere I go trying to get off the list, someone passes the buck to someone else. I feel let down and the Supreme Court did the same thing,” Gantert said. According to the ruling, Gantert didn’t realize the arresting officer had already filled out the form so he filled one out himself after watching a videotaped interview with the victim. A department investigation found Gantert violated two departmental policies: unsatisfactory job performance and falsification of reports, the court stated. Gantert, who has now been with Rochester Police Department for more than 11 years, said his chances for promotion are nonexistent now, but he can still testify at trial. Before testifying, a judge holds an in camera review on his discipline. If the judge finds it is not relevant to the case, he can testify without it being used to impeach him, Gantert said. He doesn’t know if the defense is notified in these instances because it is such a secretive process, but so far he has been able to testify without his discipline being used to impeach his testimony, Gantert said. The treatment he receives from the citizens he deals with on the job makes it worthwhile, he said. “Everyone who knows me knows the citizens get good services. They end up thanking me and we shake hands after an arrest,” Gantert said. The court noted the government’s strong interest in meeting its constitutional Brady obligation to turn over all material favorable evidence to the defense. “And its interest in not delaying placement of officers on the list, the procedures implemented in this case struck the proper balance,” Lynn wrote. The ruling said there was an internal investigation, two layers of review within the department, an opportunity to meet with the chief, and a hearing before the police commission. Gantert’s appeal is based on a decision against him in Superior Court. “Although the arbitrator found that the plaintiff did not intentionally falsify the LAP, it is clear from his own admission that he supplied answers on the LAP that he knew he had no basis to believe were true. “This is certainly enough of a reflection on the plaintiff’s general credibility to trigger at least a prosecutor’s obligation to disclose such information to a court for in camera review in a case in which the plaintiff will appear as a state witness,” Lynn wrote. Lynn wrote that the court is aware that the Legislature is currently examining “Laurie” list issues. “(W)e think that the Legislature, rather than this court, is the proper body to regulate the use of ‘Laurie Lists,’ including the development of procedures for the placement of police officers on, and their removal from, such lists,” Lynn wrote. Gantert made a final statement, too, during an interview. “If you ever feel that your actions, even with the purest intent, are warped or taken out of context, use the rights granted by both the Constitution and state laws to try and fix the wrong-doing.